GANDHINAGAR: State government has prepared new master plan for the Phase-II Ahmedabad (Motera) to Gandhinagar (Mahatma Mandir) metro rail project. New estimated cost of the project is Rs 7,000 crore (approx US$ 1094 Million). The state government is planning to make the plan public before the state assembly elections, while construction is expected to start after April 2018, sources said. 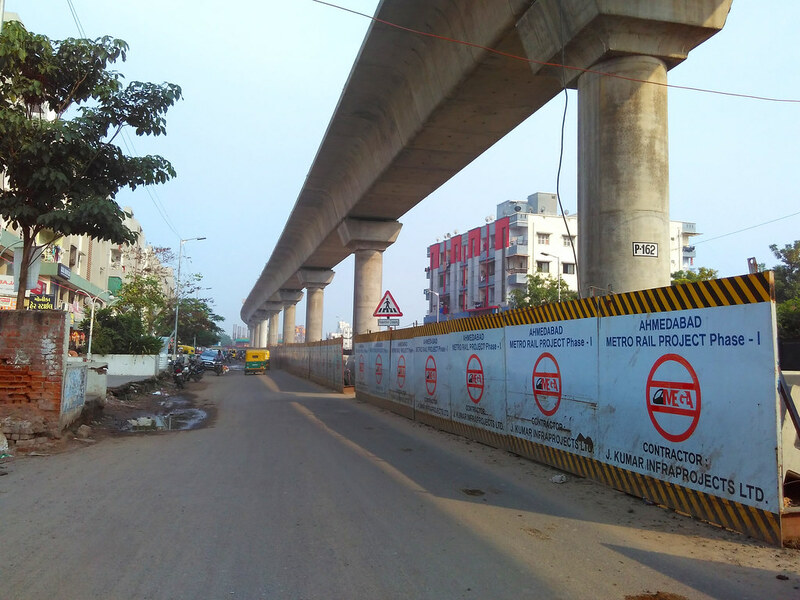 “The state government is planning to extend the Ahmedabad Metro Rail Project Phase I up to Gandhinagar in Phase II with a project cost of approximately Rs7,000 crore,” a source close to the development said. Phase II will connect important locations like Motera Stadium, Tapovan Circle, GNLU, Infocity, Sachivalaya, Akshardham & Mahatma Mandir, the official said. Also, this phase will connect Ahmedabad Airport & GIFT City in 2 sub-lines. “The DPR is ready and at the final stage of approval. After this approval, the DPR will be sent to the Centre for further approvals. Phase II is expected to start by April 2018 and completed by year 2022,” a source in MEGA said.